Looking for ways to save every day? Join Jerry’s VIP Discount Club to get 10% savings off of every in-store purchase, every day. 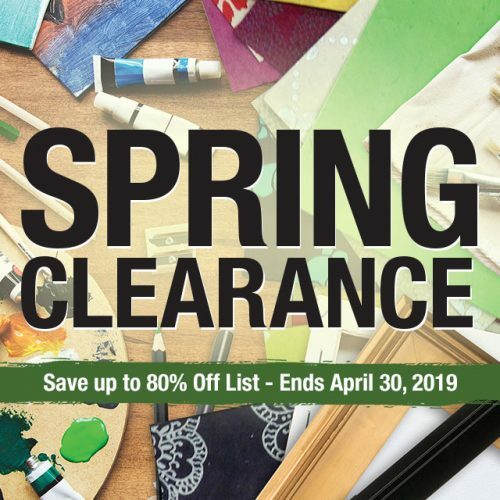 It’s easy to sign up with your email address, and you’ll enjoy great discounts every time you shop in our Delaware art supply store. To make this deal even sweeter, we’ll send special discounts and announcements, so you’re always the first to know when your favorite tools and materials are going on sale. We’ll even send you a special birthday greeting with a personalized coupon to mark the big day! We’re always coming up with new ways to keep our VIPs happy, so you don’t want to miss these savings. Low Prices All the Time – Tax Free! Whether you’re looking for the right clay for a series of sculptures, printmaking supplies, or mats and frames to show off your work, we work hard to keep our regular prices reasonable, so you never have to sacrifice your favorite tools to stay on budget. We also offer affordable options in our Newark, DE custom framing and canvas department, so there’s no reason to be stuck with standard canvases and frames if you have your sights set on something bigger. And because Delaware is one of only five states with no sales tax, you can find your items cheaper than anywhere else! Come by the store today to browse our entire selection, and you’ll quickly see how our prices stack up. Check back often to see what new promotions we have coming up. Whether it’s a sale on your favorite brand or a close-out on seasonal items, our sales change monthly, and you don’t want to miss out. We typically offer special items at deep discounts when you might need them most, so dive into our seasonal sales to create unique gifts for family and friends. Just because you’re an artist doesn’t mean you have to starve! Swing by Jerry’s Artarama of Delaware today to get the latest on all our upcoming sales and promotions. Got an artist in your life? 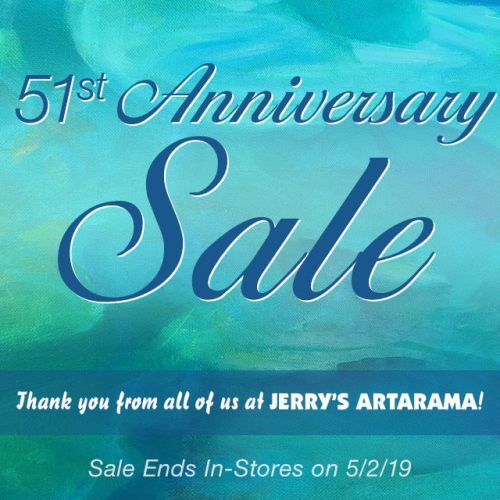 A gift card for Jerry’s Artarama never goes out of style, and it’s a great way to support a loved one’s creativity. Artists can be picky about their supplies, so let them do their own shopping with a Jerry’s gift card. Our gift cards tuck easily into any wallet and can be purchased in any denomination, so they’re the perfect present for all occasions. Surprise your favorite creative person with a gift card for a birthday, Christmas, or any special day in between. 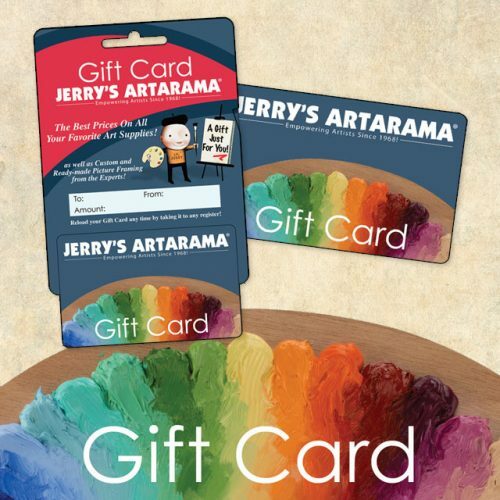 Gift cards are honored at all Jerry’s Artarama locations.